Nox Arcana always produces quality albums. The music is generally classified as goth, but I’d consider it progressive rock, although, arguably the “rock” part of the equation isn’t prevalent. 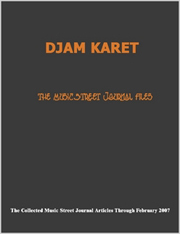 The music is typically electronic, symphonic and dark. This album fits that mold. The duo never wanders far from its roots, but the music never gets old. That’s because Joseph Vargo seems to be a master of creating interesting melodies and arrangements within his chosen musical vernacular. This time the concept (all these albums have a theme to them) is about magic, the art form. 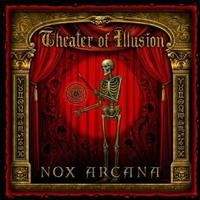 I heartily recommend this disc, as I recommend all the albums from Nox Arcana. A voice intones the title and then a symphonic sounding melody ensues. There is a spoken introduction to the concept of magic. It feels like the opening to a movie. This is more sedate and powerfully mysterious. It’s got a real beauty to it, but is also nicely creepy. Intricate and gentle, this piece is quite pretty. It’s not as ominous as the last piece, but there’s still a bit of a dangerous element to it. There are some non-lyrical female vocals on this cut. It’s a more involved arrangement and gets quite powerful. Like the rest of the music here, it’s both dark and beautiful. Another pretty and yet dark number, this isn’t dramatically different from the music that has come before. However, it never feels like it’s redundant at all, remaining fresh. The intricate progressions on this are powerful and the overtones really add to the feeling of doom and gloom. Here’s another track with a spoken part. It’s like an introduction type piece. This opens with a very powerfully dramatic symphonic type movement. It takes on more ominous elements as it continues. Sounds akin to a music box open this and the track builds upwards from there. This has a bit of a waltz sort of texture to it. It’s symphonic and powerful and, yes, sinister. I can’t look at that title without thinking of the Rush song. Of course, the similarities end there. It’s a rather delicate and quite intricate piece of moody music. I like the tolling bell sounds on this a lot. Non-lyrical female vocals and a swirling arrangement bring drama and power to this cut. There is a lot of drama built into the arrangement here. It feels a lot like the music to a horror movie or thriller. Addition of a lot of vocals (all non-lyrical and used more as instrumentation) and a more pronounced drum presence, make this one stand out. Those things also seem to make it fit the title. I like this a lot. It’s rather gentle and just has a certain charm to it. Everything just seems to be perfectly placed here. It’s not that the rest of the disc is lacking in any way. It’s just that this one reaches even higher. As the title would suggest, there are some Eastern elements built into this track. It’s quite an energetic number and another highlight of the set. It gets very powerful as it continues. The female vocals and dramatic overlayers make this piece stand out. It’s another of the highlights of the set. Here’s another point where the title reminds me of something else, this time the movie with Christian Bale, Hugh Jackman and Michael Caine. Of course, the title here refers to the same thing that title does, basically the body of work of a magician. This is one of the more intricate cuts on show here. It’s very pretty and has a little less dark sense to it. It manages to convey both magic and mystery quite well. Somehow this feels more like movie soundtrack music to me. I hear “Tales from the Dark Side,” but also something like a more powerful science fiction film. There’s a definite air of exploration and wonderment here. More delicate, this doesn’t sacrifice power in the arrangement to attain that level of intricacy. It’s another potent piece of music. A dark sense of mystery pervades this instrumental (there are non-lyrical vocals). There is a pronounced percussion element and a definite classical/symphonic nature to much of the piece. It’s a great way to end the album in style.